What are your options when your front teeth need to be repaired? When you visit a dentist in St. Augustine, you’ll be happy to know that there are a variety of options for repairing the teeth that represent your smile. Physical structure- Dental bonding is a soft, moldable material made of resins and polymers. 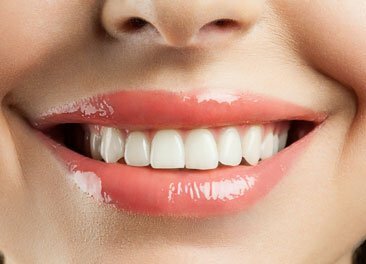 Veneers are made of laboratory-glazed porcelain or ceramics. Both bonding and veneers are comparable to natural enamel in terms of strength, although veneers are considered to be more durable in some cases. Design and procedure- Dentists can place bonding material directly onto the teeth, mold it into the proper shape, and then immediately set it with a special curing light. Veneers are designed outside of the mouth (in a dental lab or a special in-office milling unit), and then cemented onto the surface of a natural tooth. Ideal use- Dental bonding works best when used in small increments such as slightly chipped edges, small gaps, light contouring, and small cavities. Porcelain veneers are most suitable for larger surface areas, overall strengthening, large repairs, wide spaces, and deep or widespread staining. Lifespan- While bonding may need to be replaced after about 5 years, porcelain veneers can be expected to last for 10 or more years. The lifespan of any dental material can be extended with good oral hygiene and healthy habits. You’ll need the help of an experienced St. Augustine dentist to determine the best tooth repair option for your smile. To get started, call and schedule your appointment today.